We’d love to have you join our community of Ambitious, Progressive women Business Owners and Experts. If you’re interested in even MORE benefits, you might consider our MACsWOMEN IN BUSINESS membership. While being a MACsWomen member won’t guarantee that your article will be a featured post (ALL of our authors and articles are vetted for quality and relevance) your article will go to the front of the line of the editing process. In addition to this, you’ll get the opportunity to conduct at least one webinar per month in your subject area and more. Want to learn more – head over to our members page. We welcome progressive, inspiring, smart, women entrepreneurs! If you’ve got an original article that you’d like to send us for review — we’ll consider it for publication! Review our MACsWomen submission guidelines for more information. Below you will discover some of the benefits of contributing to our blog. Build Your Credibility as an Expert: Millions of small business owners are searching the internet looking for experts in low-cost, high impact MACs Women In Business Network. By simply sharing your expertise on MACs Women sites you build your credibility as an expert in your field. Promote Your Personal Brand and Expertise: Becoming a regular contributor to MACs Women builds your personal brand in a specific area of marketing. Increase Traffic to Your Web Site, Blog or Book: Your articles will be promoted to over thousands of targeted small business community members on LinkedIn, Twitter, Facebook and other small business sites. Network With Other Experts. You’ll get the opportunity to network and promote your offering within the expert community and THEIR larger communities as well. CONNECTING: Our audience consists of owners of small and micro businesses who don’t have a large staff or marketing and sales departments. They are looking for just the important marketing, sales and operating information they need to know. SUPPORTING: Small business owners of companies with no sales and marketing departments are primarily interested in topics on Lead Generation, Pull Marketing Strategies, Pricing, Social Media, Web Site Strategies, Market Research, Sales Strategies and how to get and keep customers- revenue generating topics. CELEBRATING: At MACs Women, we are all about celebrating our members and women business owners. We also like to celebrate and acknowledge best practices and receive advice from women with strengths and success in a particular area of business. 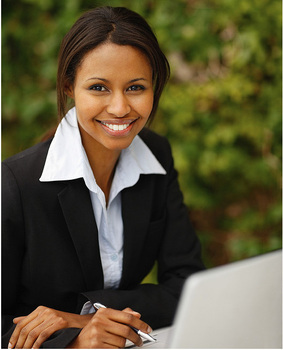 We are about helping women to grow their business with any advice or resource we can provide.